Jimmy Jangles presents: The Optimus Prime Experiment: Have you ever seen an electron? 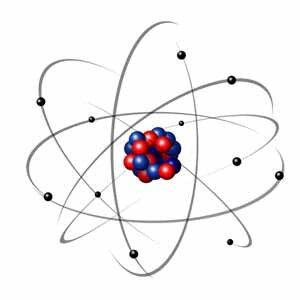 Have you ever seen an electron? No, I have never seen an electron. How do I know that they exist? Because I believe what J.J. Thomson and the other fathers of science told me. A scientist said it, therefore it’s true! I accepted the authority figure telling me that something was true. But what about the things other authoritative people try and tell me to believe? I have not seen Jesus as explained to me by a priest, yet I don’t believe in him or his existence. Some people in society praise Allah, should I because they do? It’s called blind faith for a reason but I’d rather be blinded by science thank you very much. What about the man and woman at 6pm on the Idiot Box telling me that George Bush is an evil person. Should I believe that when he won two American elections with a bible closely held to his breast? Even science can be bumk. What about the Nobel Prize winner trying to convince us that large doses vitamin C cured cancer? He was a respectable authority figure that was just plain wrong. Dear reader, I give you two more words - Tom Cruise. If Micheal Moore hates capitalism and people watch his films and largely agree with him, should I believe that every American is a gun toting, sicko? Probably, I’ve watched Cops a few times, that’s a good a documentary as any. If everyone believes in the same things like Reeboks, Amnesty International and floating exchange rates, who am I am to argue with them? I’m not the crowd. Though, isn’t the wisdom of crowds the right answer every time? Like that crowd in Seattle that fought that nascent battle, they showed wisdom then, right? Right. Seth Godin’s point is that as an individual we allow ourselves to believe things because we are shaped by those around us. Whether it’s someone carrying on the tradition of Halloween, producing well researched film documentaries or a baby jesus freak preaching the word of the Bible, everyone can shape our views and thoughts. Hell, Seth does it all the time. His readers must be pretty closed minded right? My point is that while I prefer the “Trust No One” approach of the X-Files, you can meet the world half way. What is it you are trying to tell me world? Electrons cause electric shocks? I’ll meet you half way. The lies about Jesus are shocking.